If it ain’t broke, don’t fix it, right? The Atama Mundial 9 Gi is the newer model of the Mundial 7, featuring reinforcements and cosmetic changes to the gi, but still featuring blue, black, and white colors. It comes with a moderately high price tag alongside a high quality and durable build. Basically, it is a perfect gi for serious BJJ practitioners and our Atama Mundial 9 Gi Review will show you why. Summary: The Atama Mundial 9 BJJ Gi is the latest edition to the Mundial series; one of the most popular and high quality line of gi's on the market. Mundial have made a few tweaks and changes here and there to take their latest addition to the Mundial range to the next level. Does not come with a gi bag like other top BJJ gi brands (such as Venum). The Atama Mundial 9 Gi is really geared towards people of all experience levels in BJJ. There is nothing wrong with someone coming into the dojo wearing one of these for their first class. The gi provides great protection and prepares the new person for learning why a quality gi is important. 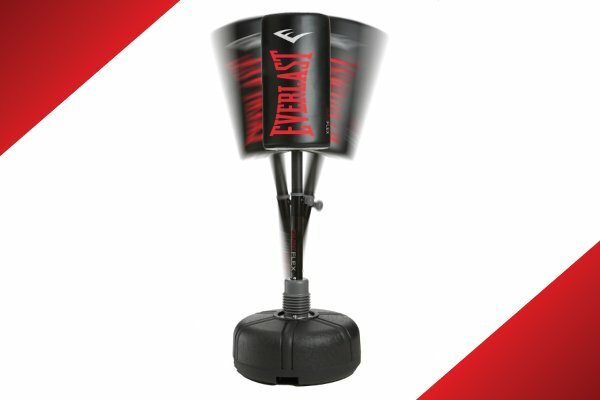 Not every beginner is going to take BJJ seriously, though, so they might not want to drop a good chunk of money on their first gi. 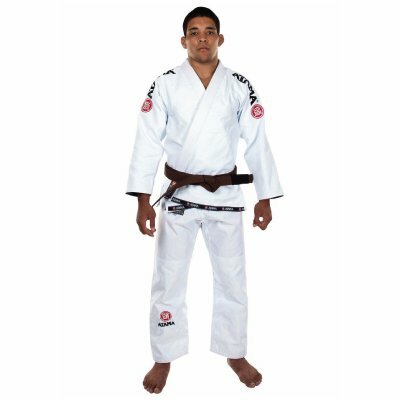 This gi is perfect for people who have more experience in BJJ, though. 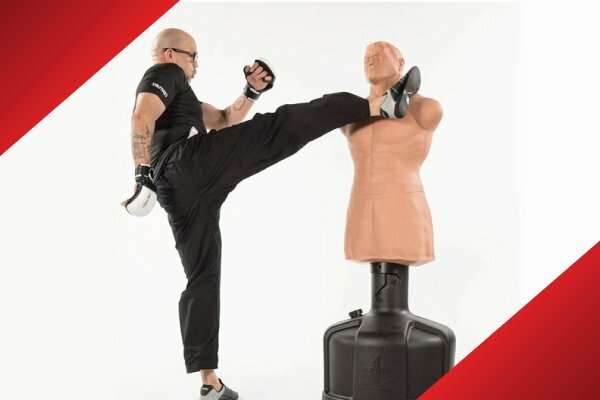 People who have been involved with the martial arts have no problem making a larger investment in what is the most valuable piece of equipment you can buy. 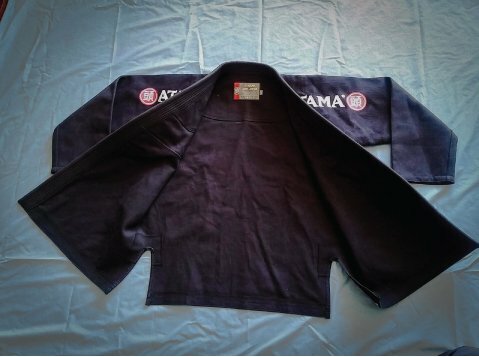 The extra thickness of the collar, the Rip Stop in the pants, and the density of the materials are meant to be used by people who want to put in the hours rolling on the mats. All in all, a new person and a veteran can both benefit from this gi. Lets kick off our Atama Mundial 9 Gi review by taking a look at it's design, which is by far one of my favourite looking gi's out there. A lot of the bigger brands have a tendency to plaster their designs and logos over every inch of their gi’s, but not the Atama Mundial 9 Gi. You can expect to see their brand logo embroidered on both shoulders, on the skirt of the jacket, and the bottom right pant leg, using their typical black and red. The patches that you’ll see on the Mundial 9 model are on the base of the jacket and the nape of the neck, so they are hidden away for the most part, but provide a bit of extra color to the gi’s design. The total look is modest, no angry snakes or exclamation points to be found on this gi. The functional part of the design is also something you’ll probably find just as interesting as I did. 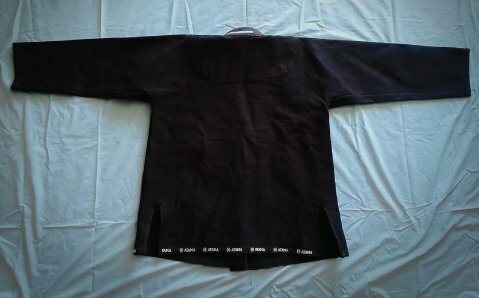 The collar on this gi is seriously thick, and you can guess that it was made that way for a reason. 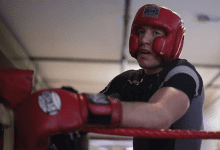 The extra-thick collar is a built-in defense against gi chokes and gripping in general, making it hard for opponents to get their hands around it or hold on to it. 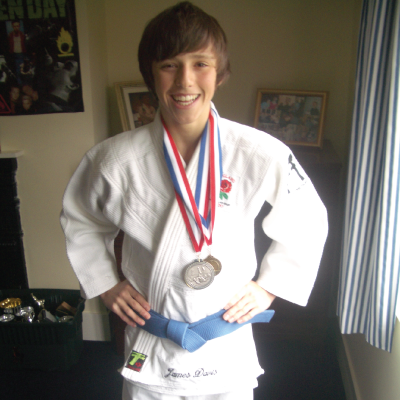 Also, the jacket of the gi is tapered, meaning that there is less material in the body and sleeves. This gives your opponent even fewer places to grab you and pull you into a significant hold. While you may not notice the benefits if you are new to BJJ, any experienced people know that a loose sleeve can turn into a submission in the blink of an eye. Overall, the design of the Atama Mundial 9 Gi is reserved which is no surprise for Atama, a brand that lets the products be their own advertisments. If there is one thing that a great BJJ gi must have, it’s durability. 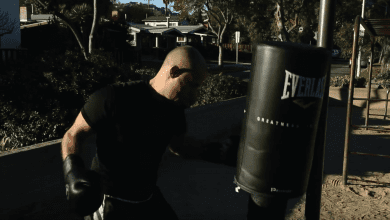 You can bet that Atama went to great lengths to make sure that this new model is strong enough to last through the most intense training sessions. The materials always play a big part in the durability of your gi. The Atama Mundial 9 Gi is made from 100% cotton and comes in a Carioca Weave. Of course, before you get on the mats with this, you need to give it a wash. Like most other gis, this one will shrink a little bit, so you need to make sure that you wash it in cold water and then hang it out to dry. You don’t want to stick this in the dryer or it can shrink up a little too much. Check out the video below to see just how much the Atama Mundial 9 gi shrinks when you wash it for the first time. The jacket of the Atama Mundial 9 Gi has a great connection between the way it’s made and how it works. The entire jacket is a single piece of fabric. You have absolutely no stitching to tear in the jacket, so you can be sure that this one will last a long time. The pants are also ready to be abused in training sessions. They have the famous Rip Stop fabric woven into them, reinforcing the pants so they won’t shred as you’re trying to wriggle out of a submission hold. Even the side vents are reinforced with Rip Stop, so you don’t need to worry about a random grab on the skirt ruining the gi. The bottom line is that this gi should last for a while even if you spend a lot of time training or in competitions. Like I mentioned before, the Atama Mundial 9 Gi is made from 100% cotton and has a Carioca Weave, which comes with a rather high GSM rating of 550. In short, the material is dense, and while it may feel stiff, that is from the quality of the make. Even though you may be a little concerned when you feel how stiff this gi is, you have to trust Atama on this one. They have provided you with roomier shoulders for better movement, maybe to compensate for that stiffness. By giving you more room and reducing the amount of material by tapering the arms, there is less of your gi to grab and no mobility sacrificed. The pants have an external rope drawstring, which is a little shorter than I like and a little too out in the open. Still, the string is usually always covered by the jacket’s skirt, especially if you double knot your pants like I do. 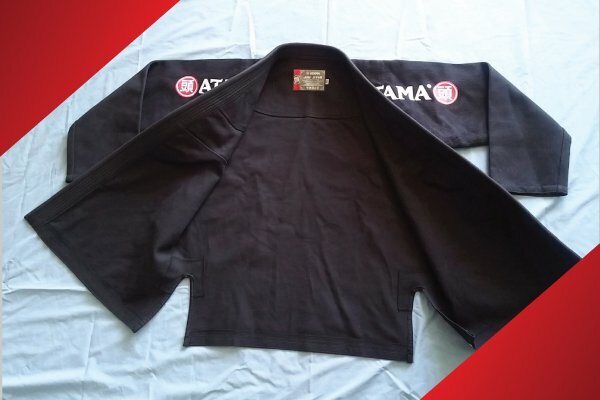 Like most Atama products, this gi is high quality from top to bottom, with reinforcement and good stitching all around. I really cannot emphasize how thick the materials are in this gi, and as a result, it might not win any awards for comfort. But if you wanted comfort, feel free to roll around in a bath robe. I’ll stick with the Atama Mundial 9 Gi because the thickness is your armor in the dojo. Now, you’re going to be hot no matter what kind of gi you are wearing in a BJJ dojo. 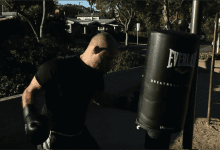 That’s a part of the joys of martial arts. But with that thick material piled on, you’re going to be a little extra hot. I have worn a rash guard underneath this gi, and you can too. But remember that you are adding another layer. You will feel a difference, especially in those summer months when you have a couple dozen people training at the same time. The best part about the overall feel of the gi is that you are not the only one that has to get used to it. The first time your opponent grabs your collar and feels like he is grabbing a stack of cards, they are going to have some trouble. The same applies for the materials on the jacket and pants because of the stiffness. I’m not saying that the material is unfair or will give you an outright advantage in any way, but realistically it will take your opponent a few grabs to get used to the gi, and even then it might be an added annoyance for them. As much as the gi isn’t going to be extra comfortable, it is going to provide you with great protection. In my own humble opinion, it’s a lot better to be sweaty as all hell and have the extra advantages you get with the Atama Mundial 9 Gi than be comfortable and getting choked. The price tag on the high end gear might seem a little bit high for some people, but it is important to remember that you are making an investment here. 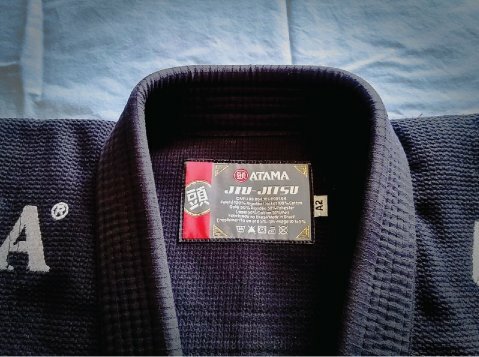 A good gi can last for a long time, and serious BJJ enthusiasts should be willing to spend some money. That being said, the Atama Mundial 9 Gi is one of the more expensive ones that you are going to see out there. But if you take a look at all the benefits and quality involved with this gi, you can see why Atama is able to ask that price. 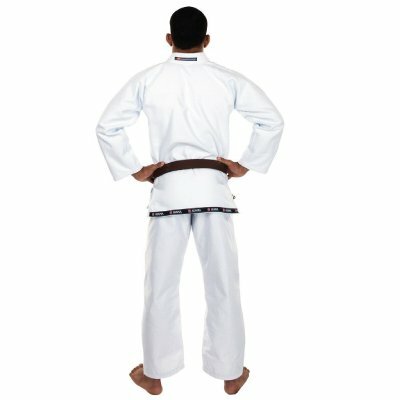 People who are not willing to make a serious commitment to BJJ training might not want to buy this gi. If you are serious about BJJ and want to dedicate yourself to having the best equipment, then the Mundial 9 is a great gi to have for training or competition. 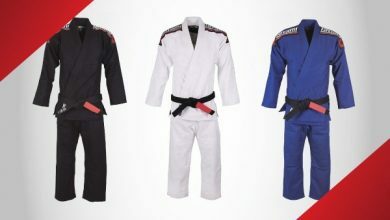 Atama is a brand that has been around since 1989, and they have usually been at the forefront of BJJ and MMA in general. For those who love a little bit of history to go with their gi, the famous Royce Gracie was wearing an Atama gi when he won the very first UFC match in 1993. Gracie’s victory made many people seek out the Atama brand, which was one of the largest specialty gi companies in existence at the time. The mainstream appeal of UFC was still years away, and BJJ was still barely known in big markets like Europe and the United States. Now, Atama continues to make high quality gi’s from great materials, providing clients on 5 continents with gear. If you are looking for something similar to the Atama Mundial 9 Gi, then you could always consider the Venum Elite BJJ Gi. The Venum Gi has a lot greater variety when it comes to colors and designs. Venum is known for being really brand-heavy, and their gi has a lot more logos (a snake with fangs bared) and embroidery. If you want a gi that is going to make a bold statement, this is perfect for you. 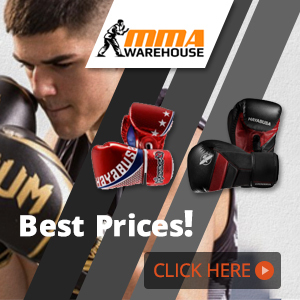 Another difference between the two gi’s is that the Venum brand is a bit cheaper than the Atama brand gi. If you want something that is in the moderately-high price range, then Venum has you covered. Also, with Venum, you get a stylish gi bag that is big enough to hold your belt as well. Otherwise, both gi’s are known for their heavy and dense materials, rather stiff materials, and tendency to be somewhat comfortable but very strong. You can make great use of either one in training and in real competitions. 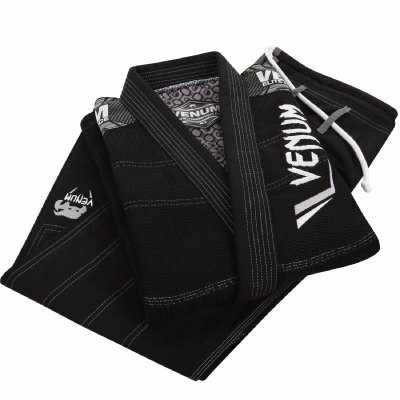 You can also read our full Venum Elite BJJ Gi review for a more in-depth look at this top quality gi. All things considered, the Atama Mundial 9 Gi is a top shelf product. It is there to be enjoyed by the people who are refined enough to appreciate the extra bells and whistles like that reinforced collar. The Mundial 9 is strong, thick, dense, and stiff, making it great to wear and hell for the person trying to grab you. 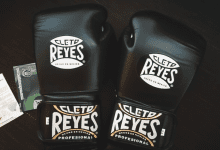 The material is high quality and comes with a unique weave, adding to the overall durability. The design is ingenious, using a single sheet of fabric to create the entire jacket to reduce the chances of your gi ripping. Overall, we recommend the Atama Mundial 9 Gi because of the great construction and high quality even if it is a little expensive. 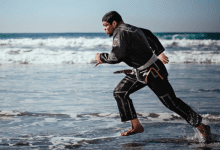 This gi is perfect for just about anyone, but we recommend it for people who are serious about BJJ because they are going to appreciate and use all the extras tucked into the design. All in all, the verdict is very positive, and we think that everyone can find something to like about this gi. I hope you enjoyed our Atama Mundial 9 Gi review, feel free to add your opinions or ask some questions below. The Atama Mundial 9 BJJ Gi is one of the best gi's on the market. Although sporting an expensive price tag, it's high quality and durable build, alongside it's minimal design make it one of the toughest, best looking gi's out there.